The opposition FDD says the increment in the cost of fuel has nothing to do with The removal of subsidies from the commodity as that was done in 2013. 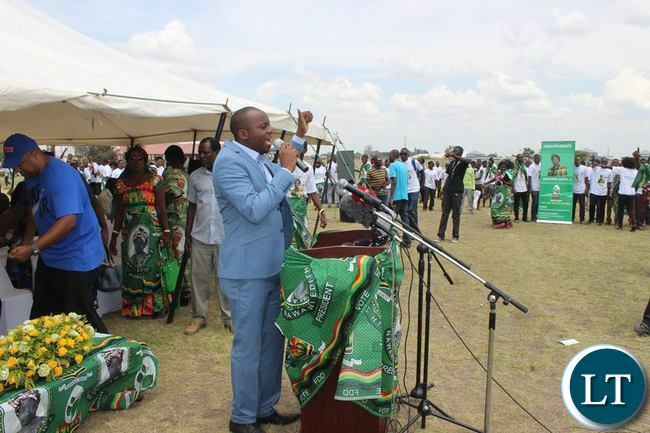 In a statement, FDD Spokesperson Antonio Mwanza said Government should stop being dishonest to its people as telling lies will catch up with them in the long run. Mr Mwanza said the increment of fuel has everything to do with the country being broke as opposed to the lies government is telling people. Below is the statement as issued by Mr Mwanza. WHY CAN’T THEY BE HONEST ENOUGH AND TELL THE PEOPLE THE TRUTH? Lies have very short legs; on the other hand the truth is very stubborn, no matter how hard you may try to conceal it, you can’t hide it forever. It is extremely vital for any Government to maintain honest and open dialogue with its people. Serious Governments the world over systematically give honest and regular updates to their people on important issues that directly affect the people’s lives. This helps the people to have a clear understanding of what is at stake thus helping them to plan, adjust and adapt to the new realities at hand. I’m May, 2013 the Government announced that they had removed subsidies on fuel. They told the people that the removal of subsidies on fuel will result in Government saving 1 billion dollars every year. About two weeks ago this same Government announced the removal of subsidies on fuel. Really? Which subsidies did they remove? Were subsidies on fuel not already removed in 2013? Where is the 4 billion dollars that supposedly has been raised from subsidy removal since 2013? Has it been embezzled or it has never been there after all? During campaigns the Government promised cheap fuel from Saudi Arabia. Today we are told that that fuel is insignificant, how? What happened? Was the Saudi Arabia deal real or it was just a political gimmick to hoodwink voters? Today we are told that Government has not even had detailed discussions with the IMF concerning the IMF loan. Really? Who doesn’t know that Government and IMF have had several high-powered detailed discussions on the IMF loan and the truth is that IMF was supposed to start administering it’s bitter quinine dosage to Zambia as way back as last year but that the PF Government deferred this dosage due to their fear of losing popularity during elections. We ourselves held serious discussions with the World Bank over this same issue late last year and early this year. Why can’t Government be honest enough and tell the Zambians the truth that the increase of fuel prices has nothing to do with the purported removal of subsidies (which actually were already removed in 2013, neither has it got anything to do with the so called volatility of the Kwacha, because even at a time that the Kwacha had depreciated to as much as 14 kwacha to a dollar and the price of crude at the international market was as high as 120 dollars per barrel the pump prices were not adjusted upwards. Today the Kwacha has “stabilised” at around 9 kwacha to a dollar and the price of crude at the international market has fallen to as low as 52 dollars per barrel). The upward adjustment of fuel has nothing to do with what ERB/Government is saying; it has everything to do with the fact that Government is broke and is desperately trying to raise revenue to meet its daily costs plus the IMF’s preconditions demands such actions. Even the Bank of Zambia has introduced more monetary regulations to banks with regards to caps on cheques and deposits in a bid to squeeze some money and tighten monetary policy. In conclusion, Government must stop masking the truth; let them tell the people the truth about how deeply the fundamentals of the economy have collapsed. It will help individuals and businesses to plan, adjust and adapt. Trying to mask the truth is just worsening the situation. A government that represents the wishes of the masses has to be transparent. It’s shocking how our govt hasn’t clarified the much publicised 2013 subsidy removal. The lack of vibrant independent media in our country has not helped matters. I wonder why Opposition MPs can’t use their positions to query the Minister to explain the earlier removal of subsidies; was it implemented in full or was it partial. Mufisanji imwe? I am definitely liking this new enlightened Zambian who will not be cheated. Thank you @The Chosen One and @Chisanga. Now, all we have to do is translate this enlightenment into pressure on the government to give answers. Let them be having sleepless nights because they realise they are dealing with an ‘awake’ people. ERB issued a statement on 14th October on the increase of Petroleum products. It did not mention the removal of subsidies as the reason for the upward adjustment. In paragraph 7 of the statement reads and I quote “However this current adjustment is mainly due to the valatality of the Zambian kwacha in the period under review (July 2015 todate). During this period of extreme exchange rate volatility the Government imported several feedstock cargoes and imported finished products but petroleum prices remained constant. The ERB found it prudent to now adjust the prices now when the Kwacha seems to have relatively stabilised.” You can read/download the full statement on the ERB website. Some of the statements issued by Kambwili are not consistent with what is happening now. Dr. Chishimba Kambwili with Kay Musonda and 4 others. Government has announced loadshedding is set to reduce further this monthend from 4hrs to 2hrs. State power utility firm ZESCO says Zambians will now have their light bulbs on longer after the operations at the Maamba Coal Plant are finalized. ZESCO had recently revised its power rationing from 8hrs to 4hrs. Thank you for the proof of their lies. They need to wake up and realise people are wide awake now. LUSAKA, Thursday, May 2, 2013 – His Excellency, Mr. Michael Chilufya Sata, President of the Republic of Zambia, has said the removal of the subsidy on petroleum products will enable the state to have more finances available for spending and guarantee proper implementation of all government programmes and projects. President Sata said it is necessary that the subsidy on petroleum products, which has been a burden on state coffers for a longtime, is removed and consequently the price of fuel adjusted upwards in order to attract wider social benefits for the general populace. After the introduction of Don’t Kubeba, PF realized that u can rule Zambian even through lies. Only hunger and hardship will change Zambian and that’s where we are heading to. The funny presidential aide will tell us it is removal of subsidies in “phases”. He will then inform us how the opposition is causing people near borders to buy fuel from other countries (and that this will no longer be tolerated). The Energy Forum will also come in and defend the increase by asking if walls can be built in border areas to make sure citizens buy local fuel. Satirical, right? Not in Zed. You will remember this. I remember ERB saying the increase was due to a drop in exchange rates. And we are waiting for a “comprehensive statement” from BUFFOON Kambwili! !